← Happy Mazda 3(.14159265) Day! Ford made a roadster in 1937, but there has never been one quite like this. This jewel comes from the creative mind of Roy Lovato Senior, and it is brilliant in its execution. Click through for more of 37th Street. Early Fords were very simple cars with very simple bodies. 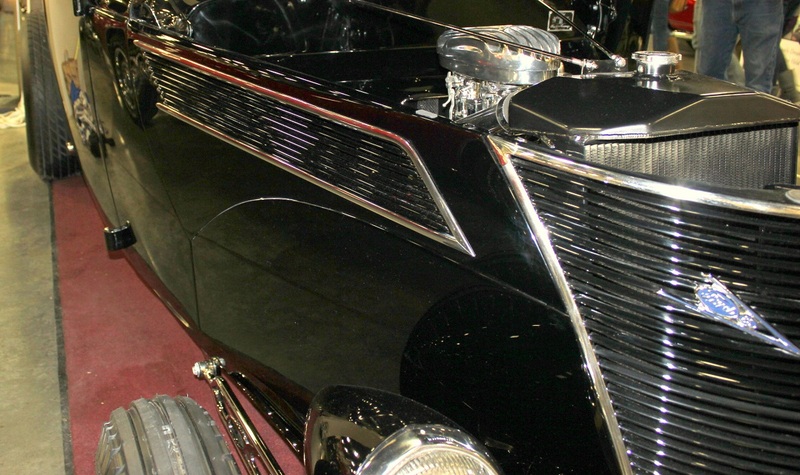 The sides of the bodies were basically slabs which extended down to the separate running boards and fenders. 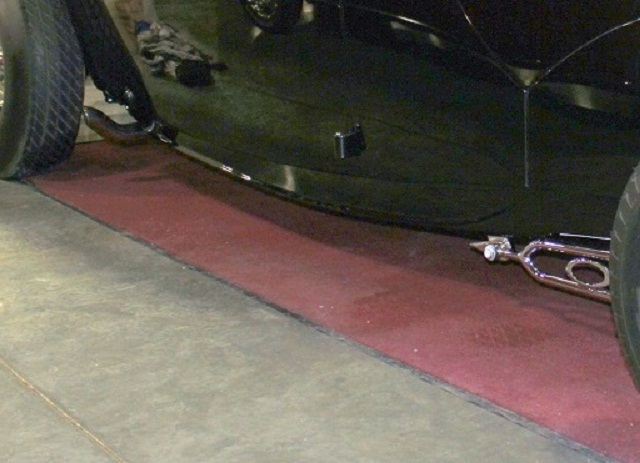 Because of that design, it was easy for hot rodders to take the fenders off and have an attractive fenderless car. But in 1935, Ford introduced the first of its “fat fendered” cars. Those fenders made it difficult for rodders to make the cars look right when the fenders were off, as they were much more integrated into the whole body than the earlier cars. 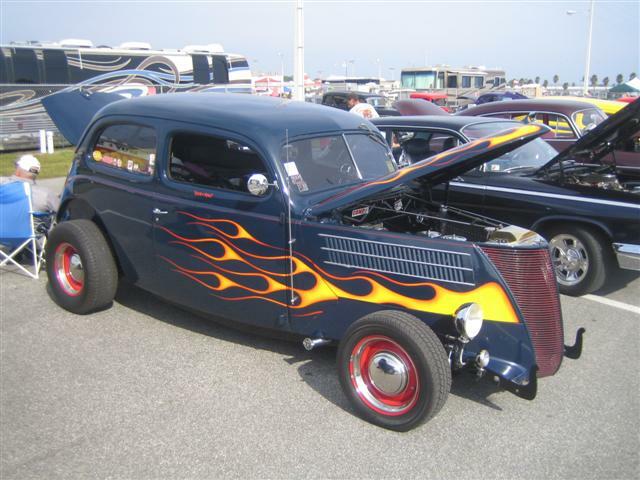 Mr. Lovato has unofficially specialized in 1937 Fords throughout his hot rodding life. 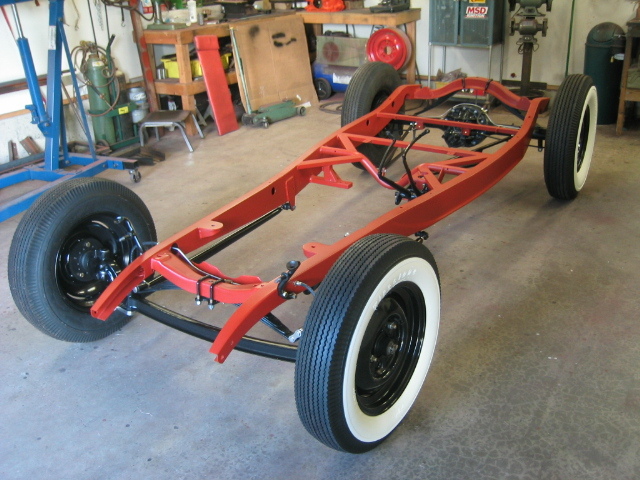 So, his self-imposed challenge was to build a ’37 fenderless roadster that looks right, and works. NeedThatCar gives this car a solid A for this effort. So how did he pull of a fenderless ’37 where others have failed? I don’t have all the answers, but for one, he removed some 3″ from the center of the body. The fat fendered cars also had sort of fat bodies through the middle, so he put this one on a diet. He also added ’32-style reliefs in the sides of the frame. 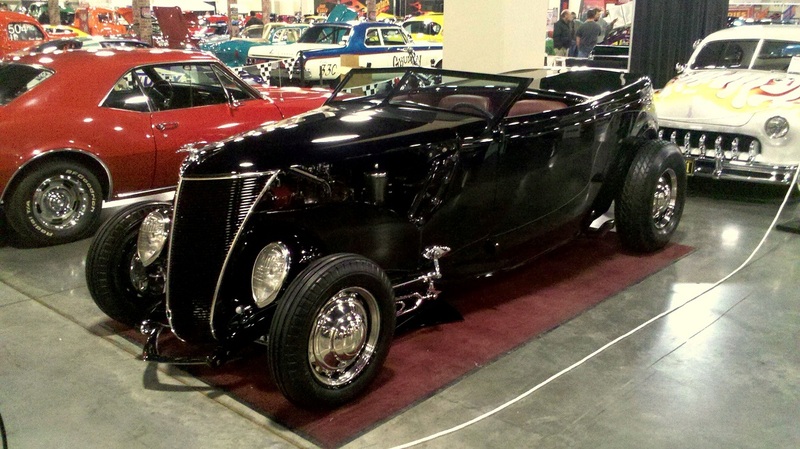 The ’37 Ford doesn’t have an attractive frame, so it would need modification in order to be a visible part of the car. 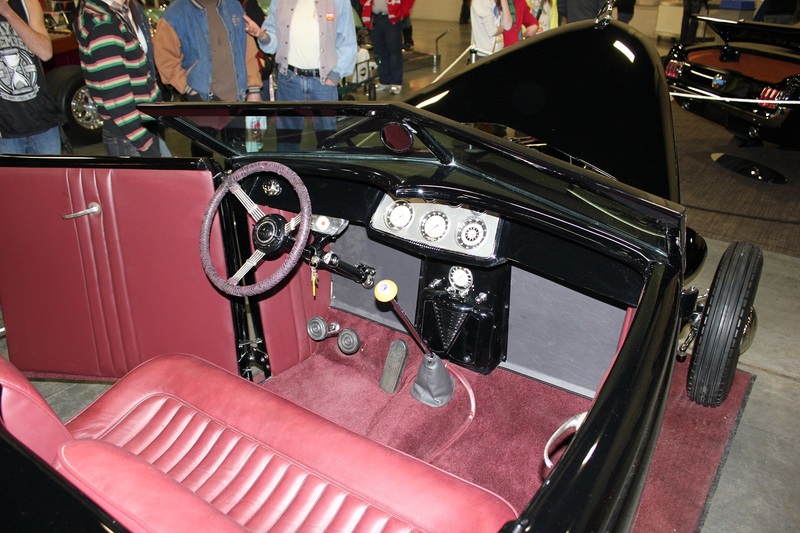 ’32 Fords featured a visible frame between the body and the running boards. In order to make this look presentable, the designers at Ford added a smooth side with a great little character line that ran along the bottom. If you spend much time looking at ’28-’31 Model A hot rods, you’ll see that a great deal of them ride on ’32 frame rails, and rightfully so. It is probably the best looking frame ever built. Mr. Lovato’s car features a classic Ford flathead v8, traditional wheels with bias-ply tires, and the always-correct red interior. Then there are the details. In addition to the frame rails, there are the “8” shapes integrated into the front wishbones. There are the hood sides, which have been flattened and the lower hood sides, which were hand-built and which have better fit and finish than most expensive German cars. There is the fact that he used no Bondo in the car; everything is leaded or just hand worked steel. Then there is the mahogany floor in the trunk of the vehicle. The recessed dashboard with just the right gauges and the center-mounted heater below. There are really too many details to list, but there is one that I will go into more detail about. Those headlights. In 1937, Ford integrated the headlights into the fenders of the car for the first time. This was really a leap for Ford, and a design aspect that would stay industry wide until present day. 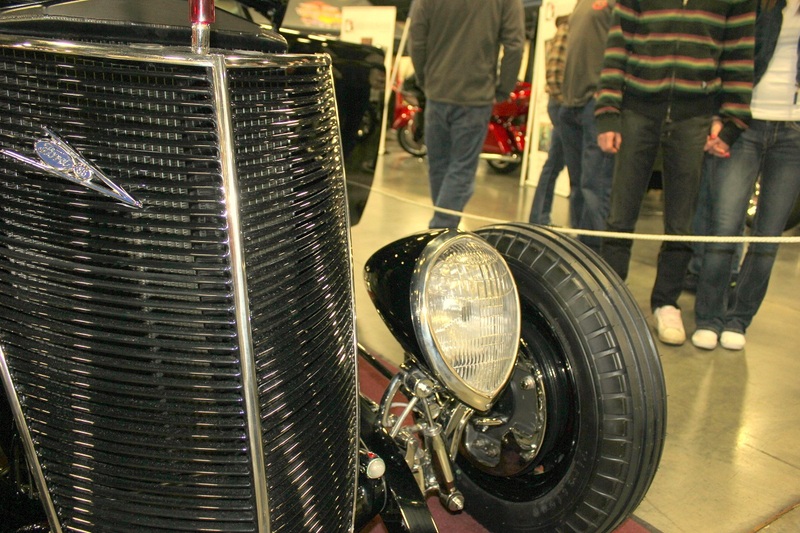 So how do you deal with headlights that are integrated into a fender that is no longer there? Well, if you look at the picture of the wonky ’37 above, you’ll see that one way to deal with it is to just stand up some earlier style headlights on some brackets. (You may also notice the frame rails tucked under the car a bit, where our hero’s car’s rails are flush with the side of the car.) Another way to deal with this question is by building the perfect headlight shells that follow the lines and original styling of the car, using the original ’37 headlight lenses, and mounting them in just the right location so they don’t make a spectacle of themselves. For my money, the headlights are the keystone of this car. They just work, and they make the rest of the car work too. 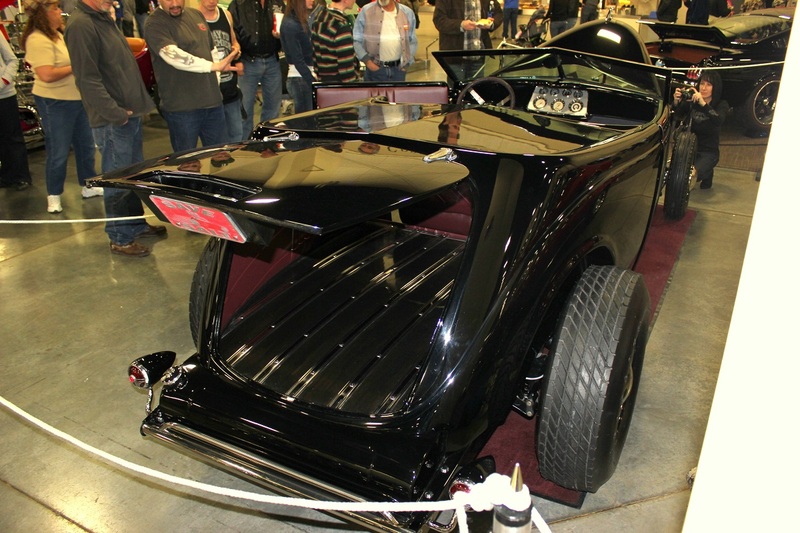 The Utah Autorama is where this car made its debut, but it is likely to show up for, and win awards at, some bigger national shows (like the Grand National Roadster Show). Great car, great work. Congratulations, sir! This entry was posted in 1930s, Items of Interest (Not for sale) and tagged 1937 Ford roadster, 37th Street, Autorama, fenderless 1937. Bookmark the permalink.